Should I Install A Well On My Property? Wouldn’t you love to break free from the local utility company? Imagine life without a monthly water bill. If you install a well on your property, you set yourself up with a regular source of water on demand. As with any system, there are benefits as well as things that you need to know before making this decision. How do I set up a well on my property? A well delivers water tapped from an underground source directly to your home. We have to start out by saying that a well is not feasible on every property. If you don’t already have one you need to drill a large borehole. This process can take a long time and requires a good deal of expense on your part. Once it’s in place you might not have as much water coming in as you thought. Make sure to test the quality to ensure that there are no toxins or bacteria within. With that in mind many property owners run wells and enjoy the benefits of having their own private water supply. So how exactly does a well work? First, you have to tap into an underground supply. 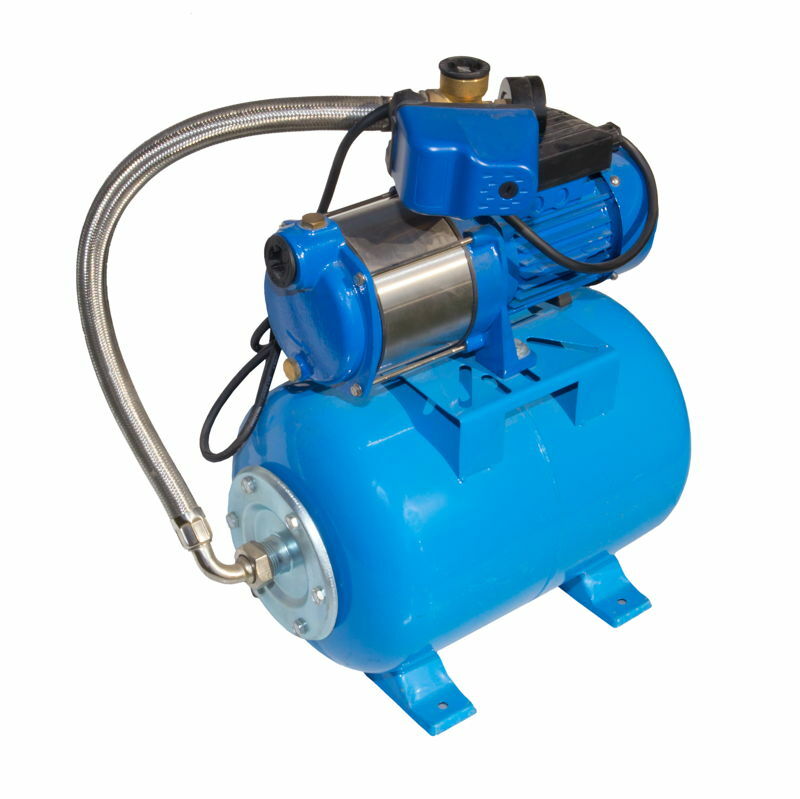 A pump runs the water through a line until it deposits it into a pressurized tank. This system allows you to get water on demand for sowers, laundry and other purposes. Your well water might not be suitable for drinking or cooking. Unless you have it tested, make sure to run it through a filtration system for purity. The quality of your pump, the level of the underground water and the capacity of your pressurized tank are important factors to consider. They all contribute to the overall pressure that comes out of your faucets. If you need to get more water than you currently have access to, try installing an extra powerful booster pump that can draw up more water and from a greater depth. 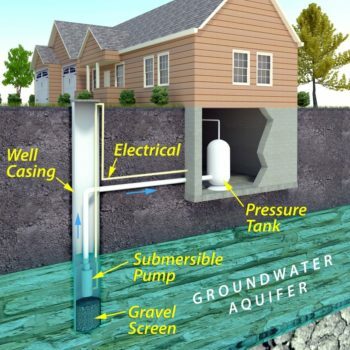 What if a well doesn’t meet my residential needs? Some of the water in wells isn’t suitable to drink, but that doesn’t mean that you can’t put that water to good use. Well systems are ideal for irrigating crops. When you run a farm you need to take every opportunity to reduce your bills, especially when it comes to municipal water consumption. Well water does not come to you pre-filtered like water from a municipal supply. It’s on you to provide filtration equipment to ensure maximum potability. Likewise, the city maintains their own equipment, but if you end up installing a well, you’re responsible for making any needed repairs as things come up. The solution to this is to make sure that you use top-quality material and parts when you make the initial installation. While nothing is more satisfying than getting a job done well all on your own, in the case of a pump installation, it really is more practical to have a contractor help you out. Your family’s drinking water is too important to mess up due to an installation mistake. Boreholes need to go very deep, and it takes expert training know when and where to drill. Contractors in your area are also all permitted for this operation, and they can help you get set up with the legal permissions that you need to get the project done legally and safely. John’s Plumbing and Pumps is your top choice for water service in the area. We’ve been in business for over 60 years and are experts in setting up well systems. Our team knows what to look for on any property. No two jobs go quite the same way, and when you’re dealing with underground systems, but we’ve seen it all and can help you deal with any surprises that come up. Once your well is set up we can take care of your regular maintenance. You care what you put into your body, so to help you maintain ideal water quality. We can do testing on site or even send it off to a professional lab for detailed analysis. Besides wells, we also have experience in all other aspects of residential and commercial plumbing. Whether you’re building a brand new home from the ground up, remodeling an older building or just need to stop some leaks, we can do it all for you. When your home ‘s plumbing needs attention, call John’s plumbing and pumps. If you have any questions at all, we can answer them for you in a manner that you can understand, even if you have little or no experience with plumbing. Even with decades of experience under our belt we always consider your needs and desires first. Set up a free consultation by either giving us a call or filling out the handy contact form on this site. We’ll meet with you to determine what you require for this project and work with you to determine the best way forward. You deserve clear, healthy drinking water. You can get that from a properly installed well. Set yourself free from the utility company with a call to John’s Plumbing and Pumps today.